Stamina Body Trac Glider 1050 Rowing Machine Review. 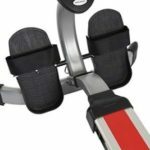 The Stamina Body Trac Glider 1050 Rowing machine review will introduce you with one of the most popular rowing machines all over the world. It is the affordably priced, compact in size and offers a great workout that’s on the same level as some extra midrange models. If you have limited workout space, the Body Trac Glider is compact and portable with a footprint of 23.5 inches wide x 46 inches long. The stamina body trac glider is the best budget exerciser for all time. This rowing machine can save your money and home space. It made by steel frame and aluminum center beam, this rower may seem smaller in size than most, even it is able to perform the same work and equally easy to handle and store. The Rowing machine multifunctional fitness monitor tracks workout time, stroke count during the workout, total strokes accumulated on the machine and calories burned during your exercise to keep you motivated and on track to reach your fitness goals. In scan mode, the monitor continually rotates from one function on the next displaying each function for every six seconds. The Stamina Body Trac Glider 1050 Rowing machine offers the form of low impact workout without any injury on your body. This machine you’re your strengthen and tighten your back, legs, arms, and abdominals. Assembled dimension: 58.2″ (L) x 42.5″ (W) x 18.1″ (H). Folded Dimension: 23.5″ (W) x 46.0″ (H) According to stamina website. Machine weight: Weight 39 pounds. User allowable Weight capacity: 250 pounds. 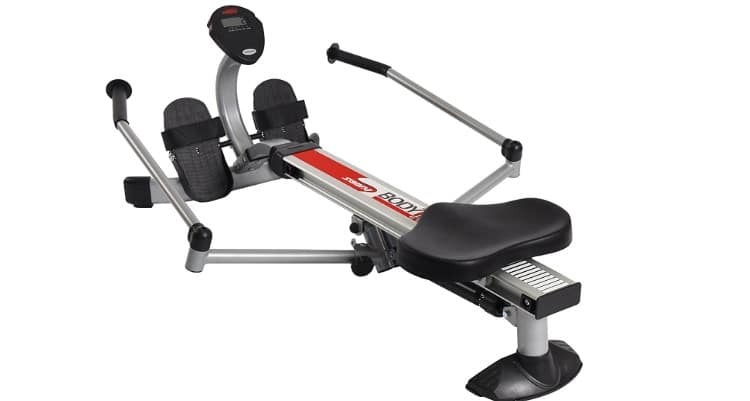 The Stamina Body Trac Glider 1050 Rowing machine features are really very good. 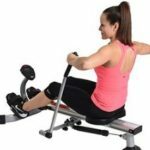 The stamina rowing machine has full motion arms for good upper body workout. The unique and good looking design allows for an all-body effective exercise for every major muscle group including back, legs, arms, abs, and gluts. Rowing is also the favorite for all than any other exercise. 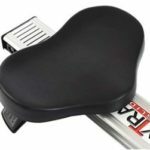 The Stamina Body Trac Glider 1050 parts are average in quality and replaceable parts are available from different suppliers. The suppliers also provide a widely explained user manual with its purchase. It is very easy to change the resistance level using a hydraulic cylinder. The stamina body trac rowing machine LCD monitor track of your workout data. 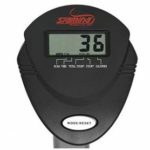 The stamina fitness meter keeps track of workout distance, workout time the number of strokes completed, and the estimated amount of calories burned. When the track meter is in ‘scan’ more, it continually cycles through each function every six seconds. This machine can help your all workout track progress record show. The stamina body trac glider rowing machine seat is very comfortable. The seat is made of molded plastic and is comfortable for short to moderate fitness rowing sessions. Some user complained the seat can be uncomfortable when rowing for longer periods of time and the seat gets harder after excessive use. But I use it every day 30 minute in a 5 day in a week it is not uncomfortable for me. The handlebars come with best standard padded grips that are not very hard and not very soft. It feels a whole lot better than having then wrapped in cheap foam that will tear about 2 to 3 months. A few users say that it handles is not comfortable for a workout but I think it is very comfortable for me and also for many other users. 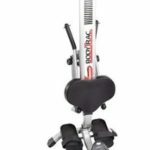 The stamina rowing machine foot straps and footrests of the body track glider are probably it is most talked about mordent features. The main thing with the foot pedals is they’re very big and the foot straps are positioned really high on the foot pedals. Some user complained about their feet slipping out of the foot pedals during their workout! The stamina body track glider is ideal for someone that is interested in full body workout machine but it also spaces saving conscious. This rowing machine fully storage able in short place. If you want that it storage under sofa it will be able to storage under the sofa. Calorie counter on the fitness meter may be done not show exact data but sometimes closely the real data. There are many reasons for love the Stamina Body Trac Glider 1050 Rowing machine, but two reason is the main first Price and second Size. The Body Trac Glider 1050 price is very affordable and provides quality at the same time it is a guaranteed to your full body workout. Second, its size is very usable the fact that this rower is smaller than most rowers is not negative on the contrary. It is very easy to handle, transport and store without taking anything away from its performance. Overall, it is a well balanced and friendly price of training equipment. I am very happy with this purchase. I fell it is doing everything I hoped it would do to strengthen my upper and lower body fitness. It works in unexpected areas too. 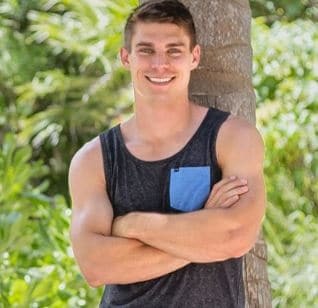 I have lost a fair amount of weight and it feels like it is tightening areas that needed targeting. So I strongly recommended that Stamina Body Trac glider 1050 is really well for your full body work out. Without any long thinking, you can buy this product and start your fitness goal. I think you can succeed in your goal. Do you thinking an effective and efficient workout that trains all the muscles in the back, legs, arms, and abs then the Stamina Body Trac Glider 1050 Rowing machine fits the bill. It is a very affordable price and space saving rowing machine. Many people love because it is very cheap and space saving. It has multifunction fitness monitor allows you to keep track of your workout sessions and improve your physique by setting goals and achieving them.